Feminist. . Wallpaper and background images in the Feminism club tagged: feminist male. 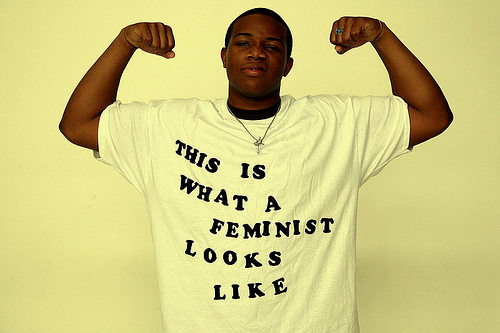 This Feminism photo contains jersey, t-shirt, t shirt, tee shirt, and trui. aww yeah!!! XD You don't really see alot of guy feminsit do ya?